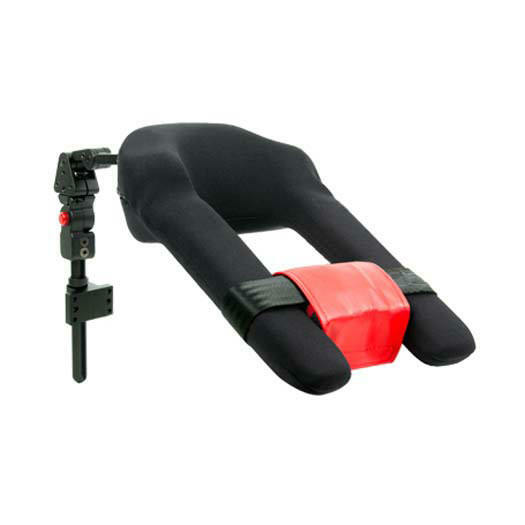 Stealth products i2i large head and neck support system does not position low on the neck which tends to leave the upper neck and head unsupported. The unique integrated form of i2i connects the head, neck and shoulders to form a support similar to that of an exoskeleton. i2i system aids in development of controlled neck flex-ion and extension. i2i's lateral component promotes mid-line head position and offers cervical support while maintaining range of motion (ROM). When a user begins to extend, their head is invited back into a more neutral position that discourages reflex postures and provides appropriate proprioceptive input.The anterior arms of the i2i act as an anchor for the chin prompt, provides an anterior thoracic boundary and creates a channel to direct ex-tensor tone into a mid-line position. The products are designed to be fitted, applied and installed exclusively by a healthcare professional trained for these purposes. The fitting, application and installation by a non qualified individual could result in serious injury.